Bottom Line: Herbalife Nurtition offers a wide range of products with an even wider range of success levels. 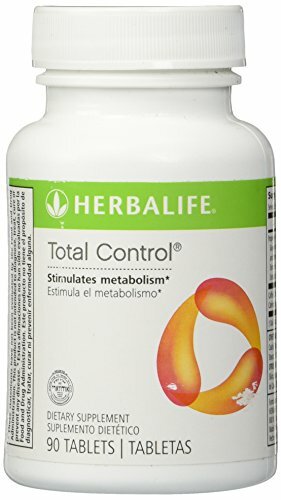 Historically, people who already use a restricted-calorie diet are most likely to experience success with Herbalife products. 2. History of the Brand: How Did Alli Start? 5. Where is it manufactured? 7. How Does Alli Work? 16. Would Alli Work with Your Diet? 17. Verdict: Would I Recommend Alli? Bottom Line: Alli helps people already following a restricted-calorie diet lose up to 50% more weight. Users should be mindful of the side effects and how to properly use Alli. Alli is an FDA-approved over-the-counter medication used to help people lose weight. The only ingredient in this OTC is orlistat, which is not a fat-burner as some other reviews would tell you but is a fat absorption blocker. A stronger dose of the same active ingredient is a prescription drug called Xenical. Alli is meant to be used in conjunction with a diet and exercise program to enhance weight loss. However, while many people found success with Alli, the long list of side effects most users suffer can be daunting. My personal experience with Alli was positive; however, it did not come without some embarrassing and deeply uncomfortable moments. Bowel leakage is the most common side effect, followed closely by gas, loose stools, nausea, and abdominal pain. While I am somewhat hesitant to recommend anything with a long list of potential side effects, consumers should choose for themselves. We at Discuss Diets examined every feature of Alli, to see if the pros outweighed the cones. This review provides you a summary of our research and our conclusion. alli® capsules prevent about 25% of the fat you eat from getting absorbed into your body. If you’d like to try it for yourself, Alli can be purchased through Amazon or using their Official Site. 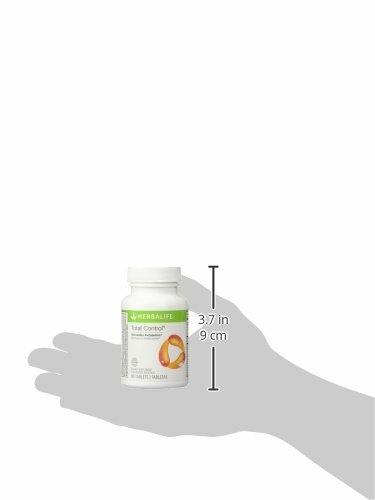 Alli orlistat is a weight loss supplement containing 60 mg of the prescription drug orlistat, which the company claims helps dieters lose up to 50% more weight than with diet and exercise alone. The drug is intended for overweight adults, 18 and older, who are also following a calorie-restricted, low-fat diet. Alli is what’s known as a lipase inhibitor. This means it stops the intestines from absorbing about 25% of the fat you eat. That’s just fat – it does not prevent the absorption of 25% of the calories you eat; this is an important fact to distinguish. That un-absorbed fat then leaves the body through bowel movements, often as an oily orange-brown discharge. 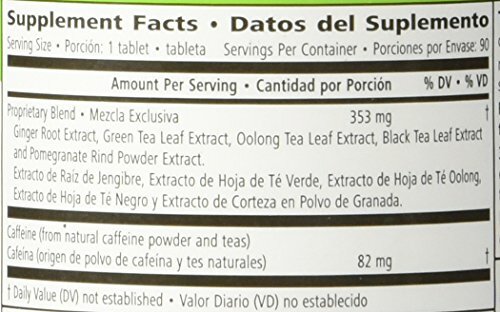 This FDA-approved weight loss supplement, the first of its kind, targets fat deposits in the body, especially visceral fat which is considered the deadliest. It is important to note that Alli is not a “miracle pill.” It will not lead to drastic, immediate weight loss. Weight loss is slow and generally begins around the second or third month of taking the medication. Pharmaceutical giant, GlaxoSmithKline (GSK), manufacturers Alli. While in business since 1715, GSK launched Alli in 2007 as the first FDA-approved over-the-counter weight loss drug. Alli is a smaller dosage version of the prescription weight loss drug, Xenical, which is prescribed as 120 milligrams of orlistat. The company has run into a few bumps with Alli. In 2014, a foreign company started manufacturing fraudulent versions of Alli, which caused the company to announce a voluntary recall until all of the fake Alli could be removed from the market. There are also several class action lawsuits pending in regard to claims that Alli can cause liver damage, but to date, none have been awarded any monies or been able to legally substantiate claims. Alli currently only offers one product, their 60 mg oral medication, orlistat. 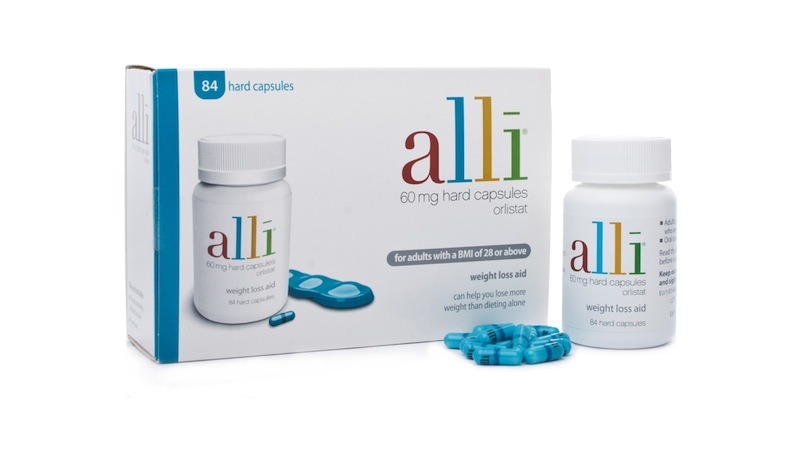 Alli does offer a starter kit, which includes a set of handy nutrition guides and a carrying case for the pills and a refill kit that only contains pills. HOW alli® WORKS alli®, along with a reduced-calorie, low-fat diet, can result in a 5% to 10% weight loss over time. Learn more about how the product works. The only active ingredient in Alli is orlistat. Any other ingredients listed are inactive and merely support the stability, appearance, and taste of the pill. There is no information specifically siting where Alli is manufactured. GlaxoSmithKline has manufacturing plants in Scotland and in the north of England, and “production facilities” in the US, Europe, and Far East. Alli is for adults age 18 and older with a BMI of 25 or above who are on a low-fat diet. Persons taking blood thinners, diabetes or thyroid medications, and other weight loss drugs should not take Alli without consulting their doctor first. • People who have had an organ transplant. Alli is known to interfere with anti-rejection medications like cyclosporine. • Those who do not have a BMI of 25 or more. • Pregnant or breastfeeding women. Alli works by blocking 25% of dietary fat from your intestines. This leads to both fat and calorie reduction. The blocked fat is excreted. Users take one pill with each meal that contains a significant amount of fat but no more than 12 to 18 grams. You can find your “target” fat limit using this calculator for finding your “meal target. You are also limited to three pills per day. If you forget to take a pill, you can can do take it within a one hour window. Studies have shown that use of Alli can help those already following a low-calorie diet and exercise plan lose 50% more weight. Clinical trials have consistently shown that alli®, along with a reduced-calorie, low-fat diet to be more effective than diet alone. In partnership with a healthy diet and exercise, Alli has shown consistent results. As a rule of thumb, for every two pounds someone loses with diet and exercise, an additional pound can be lost when you add Alli to the mix. According to the Mayo Clinic, “More than 40 percent of people taking Alli while following a calorie-restricted diet and increasing physical activity lost 5 percent or more of their body weight within a year.” Overall, most of the feedback about the results are positive, so long as you are following a healthy diet. This is not a magic pill though, you must change your eating behaviors to have success. You should also be sure to take a quality multivitamin and drink at least eight glasses of water per day. I personally had success with Alli and can speak for its results. 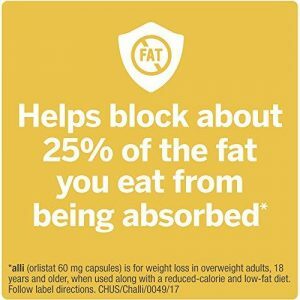 Because alli® works by blocking fat, you do need to eat some fat at each meal. Since you simply swallow the pill, there is no taste. The pill is also quite small and very easy to swallow for even those with extremely sensitive gag reflexes. Full disclosure, you will ruin underwear, clean the toilet bowl more often, and will spend an inordinate amount of time in the bathroom. These side effects are worsened if you take Alli with a fat level above that of your targeted zone. The first week is usually the hardest as you get used to the gastrointestinal effects of the medication. While there are several attempts at class-action suits currently being pursued or in their exploratory phases, Alli has not been convicted of any negligence or made settlements at the time of this review. When it comes to results, feedback on Alli is overwhelmingly positive. However, when you look at the entire picture, especially with the inclusion of the side effects, it becomes a 50/50 proposition. Here are a few testimonials. While all have some anecdotal evidence behind them, none have FDA-approval or scientific data backing up their claims. Alli would work best with diets that are lower in calories and fat restriction. It would not work with diets such as Keto, which relies on 60-70% of calories coming from fat. It also may not work with other diets which have significant healthy fats such as raw foodists who eat a lot of avocados and nuts or those on a paleo diet who eat a good deal of meat. I would recommend Alli with one caveat — be aware and mindful of using it. This is not a miracle pill. If you do not use it properly you can experience intense and sometimes embarrassing intestinal discomfort. Do not, I repeat, DO NOT think that a few extra grams of fat over the target won’t result in gastrointestinal distress of epic proportions because it will. Also know that the oily discharge has a funk all its own and is hard to get off skin, clothing, and even your toilet bowl. Remember that unless you are following a calorie-restricted diet, it’s unlikely you will see results. It’s also imperative that you take a multi-vitamin because some essential vitamins and minerals will not be absorbed due to the blocking of the fat. Be sure to drink at least eight glasses of water each day. I found more water was better. Alli does offer coupons on their products. Here is a link for $5 off a starter kit and $10 off a 120 count refill. Alli can be purchased through Amazon or using their Official Site.